Thats all. Game finished - Benfica 4, Eintracht Frankfurt 2. Second Half ended - Benfica 4, Eintracht Frankfurt 2. Shot blocked. Andrija Zivkovic - Benfica - shot with left foot from the right side of the box is blocked. Assist - Pizzi. New attacking attempt. Gonçalo Paciência - Eintracht Frankfurt - shot with the head from the centre of the box is saved in the top centre of the goal. Assist - Filip Kostic with a cross. Martin Hinteregger - Eintracht Frankfurt - won a free kick on the left wing. Missed chance. Haris Seferovic - Benfica - shot with left foot from the left side of the box is high and wide to the left. Assist - Gedson Fernandes following a fast break. Corner - Eintracht Frankfurt. Conceded by Gedson Fernandes. Substitution - Eintracht Frankfurt. Mijat Gacinovic for Sebastian Rode. Substitution - Benfica. Andrija Zivkovic for Andreas Samaris. Sebastian Rode - Eintracht Frankfurt - won a free kick on the right wing. Delay in match David Abraham - Eintracht Frankfurt - - injury. Makoto Hasebe - Eintracht Frankfurt - receive yellow card. Andreas Samaris - Benfica - receive yellow card for a foul. David Abraham - Eintracht Frankfurt - won a free kick on the right wing. Filip Kostic - Eintracht Frankfurt - won a free kick in defence. Franco Cervi - Benfica - won a free kick in defence. Missed chance. Filip Kostic - Eintracht Frankfurt - shot with left foot from the left side of the box is high and wide to the left. Assist - Gonçalo Paciência. Haris Seferovic - Benfica - won a free kick on the right wing. Missed chance. Andreas Samaris - Benfica - shot with right foot from outside the box is high and wide to the right. Assist - João Félix. Goal! Benfica 4, Eintracht Frankfurt 2. Gonçalo Paciência - Eintracht Frankfurt - shot with the head from the centre of the box to the top right corner. Assist - Jonathan de Guzmán with a cross after corner. Corner - Eintracht Frankfurt. Conceded by Jardel. Shot blocked. Jonathan de Guzmán - Eintracht Frankfurt - shot with right foot from the centre of the box is blocked. Assist - Danny da Costa. Gonçalo Paciência - Eintracht Frankfurt - won a free kick on the left wing. Gonçalo Paciência - Eintracht Frankfurt - won a free kick in defence. Missed chance. Jardel - Benfica - shot with the head from the centre of the box missed. Assist - Pizzi with a cross after corner. Corner - Benfica. Conceded by Kevin Trapp. New attacking attempt. Haris Seferovic - Benfica - shot with left foot from outside the box is saved in the left corner. Assist - João Félix. Substitution - Eintracht Frankfurt. Gonçalo Paciência for Ante Rebic. Substitution - Benfica. Pizzi for Sébastien Corchia - injury. Delay in match Sébastien Corchia - Benfica - - injury. Lubomir Fejsa - Benfica - won a free kick in defence. Substitution - Eintracht Frankfurt. Jonathan de Guzmán for Luka Jovic. Substitution - Benfica. Haris Seferovic for Rafa. Andreas Samaris - Benfica - won a free kick in defence. Corner - Eintracht Frankfurt. Conceded by Rúben Dias. Goal! Benfica 4, Eintracht Frankfurt 1. João Félix - Benfica - shot with right foot from the centre of the box to the centre of the goal. Assist - Alejandro Grimaldo. Corner - Eintracht Frankfurt. Conceded by Sébastien Corchia. New attacking attempt. Danny da Costa - Eintracht Frankfurt - shot with left foot from the right side of the box is saved by goalkeeper in the centre of the goal. Assist - Ante Rebic. Shot blocked. Ante Rebic - Eintracht Frankfurt - shot with left foot from outside the box is blocked. Assist - Luka Jovic. Goal! 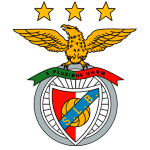 Benfica 3, Eintracht Frankfurt 1. Rúben Dias - Benfica - shot with the head from few metres to the centre of the goal. Assist - João Félix after corner. Corner - Benfica. Conceded by Sebastian Rode. Rafa - Benfica - hits the left post with a shot with right foot from the right side of the box. Missed chance. Ante Rebic - Eintracht Frankfurt - shot with the head from the centre of the box missed. Assist - Filip Kostic with a cross. Second Half starts Benfica 2, Eintracht Frankfurt 1. First Half ended - Benfica 2, Eintracht Frankfurt 1. Offside - Eintracht Frankfurt. Filip Kostic with a pass, however Danny da Costa is in offside. Missed chance. Franco Cervi - Benfica - shot with left foot from the centre of the box goes high after corner. New attacking attempt. Franco Cervi - Benfica - shot with left foot from the centre of the box is saved in the top centre of the goal. Assist - Sébastien Corchia. Shot blocked. João Félix - Benfica - shot with left foot from outside the box is blocked. Assist - Gedson Fernandes. João Félix - Benfica - won a free kick in defence. Goal! Benfica 2, Eintracht Frankfurt 1. João Félix - Benfica - shot with right foot from outside the box to the left corner. Assist - Franco Cervi. Goal! Benfica 1, Eintracht Frankfurt 1. Luka Jovic - Eintracht Frankfurt - shot with right foot from the centre of the box to the high centre of the goal. Assist - Ante Rebic. Shot blocked. Ante Rebic - Eintracht Frankfurt - shot with right foot from the centre of the box is blocked. Rafa - Benfica - won a free kick in defence. Missed chance. Alejandro Grimaldo - Benfica - shot with left foot from outside the box goes high. Assist - Andreas Samaris. Missed chance. David Abraham - Eintracht Frankfurt - shot with the head from the centre of the box goes high. Assist - Filip Kostic with a cross. Gelson Fernandes - Eintracht Frankfurt - won a free kick in attack. Ante Rebic - Eintracht Frankfurt - receive yellow card. Missed chance. Luka Jovic - Eintracht Frankfurt - shot with right foot from the left side of the box missed. Assist - Filip Kostic. Goal! Benfica 1, Eintracht Frankfurt 0. João Félix - Benfica - converts the penalty with a shot with right foot to the left corner. Evan Ndicka - Eintracht Frankfurt - receive red card. Danny da Costa - Eintracht Frankfurt - won a free kick in defence. Franco Cervi - Benfica - won a free kick on the left wing. Jardel - Benfica - won a free kick in defence. Missed chance. Luka Jovic - Eintracht Frankfurt - shot with right foot from the centre of the box is high and wide to the left. Assist - Danny da Costa. Missed chance. Danny da Costa - Eintracht Frankfurt - shot with right foot from the right side of the box missed to the left. Assist - Sebastian Rode with a head. Missed chance. David Abraham - Eintracht Frankfurt - shot with the head from the centre of the box missed. Assist - Filip Kostic with a cross after corner. Corner - Eintracht Frankfurt. Conceded by Alejandro Grimaldo. Luka Jovic - Eintracht Frankfurt - receive yellow card for a foul. Rafa - Benfica - won a free kick on the right wing. 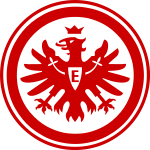 Get real-time football commentaries and full coverage for the Europa League match Benfica vs. Eintracht Frankfurt, powered by Scorenga.co.uk. This page is dedicated to one of the most exciting Europa League clashes. Here you will find a summary of the game, standings and photos.